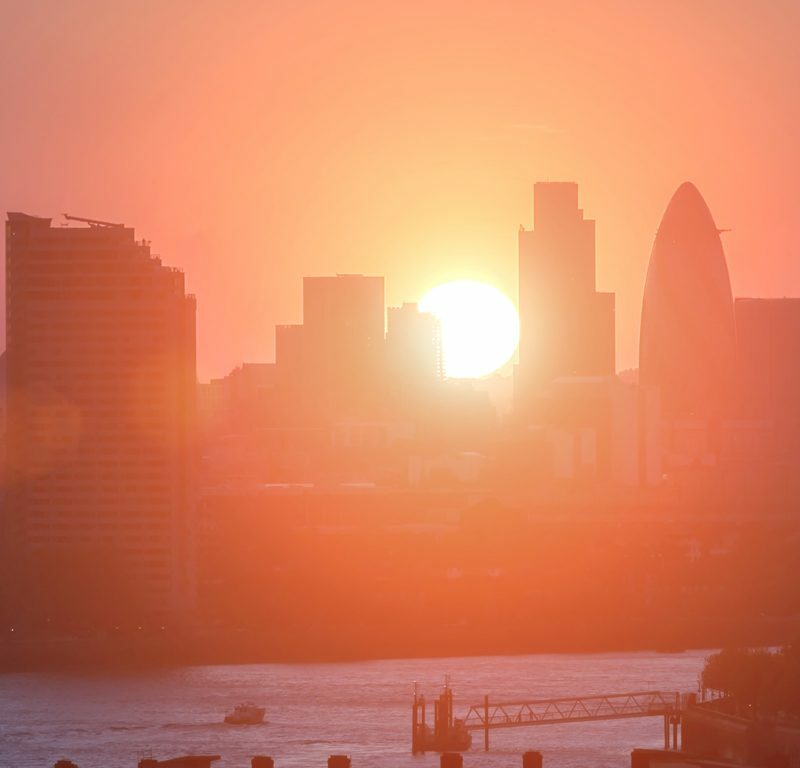 In the space of three days last week (August 2018) The Guardian published three articles addressing the growing issue of buildings overheating to dangerous levels. The headlines alone provide some indication of the severity of the issue the UK is facing and not only now, but in fifty years when the world is hotter, and these new buildings are likely to still be standing. ‘What would a heat-proof city look like? Studies show that UK heat-related deaths are set to increase by 257% by 2050. These are frightening, but very real statistics that need to be taken in to account when planning our cities and updating building regulations. Overheating must be considered, not only because many of these buildings will still be standing long past 2050 but because even now we are experiencing temperatures in the region of 35C in the UK which our buildings aren’t typically designed to withstand. The BBSA and London South Bank University conducted a real-life overheating study which compared two newly renovated London flats. The study saw that the room with no shading reached 47.5C. Whereas the room with external shading was up to 18C cooler, and the room with internal shading was up to 14C cooler. The maximum outside temperature during the study was 33C, showing that unshaded windows and restricted ventilation are a pivotal reason for overheating as the room was 14.5C hotter. One major issue which is specific to towns and cities is the Urban Heat Island effect. This is caused by cars emitting heat, air conditioners spewing out hot air and dark coloured roads, roofs, and pavements absorbing 95% of the sun’s heat – then mimicking a radiator. The Urban Heat Island effect means that cities can be up to 10C hotter than surrounding areas. When the Urban Heat Island effect happens, passive solutions such as blinds are an ideal solution because they reduce the temperature for users but without making it hotter for other occupants outside the building, as air conditioning does. Thermal imagery has been used in the article ‘what would a heat-proof city look like?’ showing the difference between temperatures in the sun and temperatures in the shade. As simple as this sounds; it’s cooler in the shade. This is the same whether you are directly in the sun or the sun is streaming through a window, shading keeps you and the air around you, cooler. If 20% of UK homes are already overheating in relatively cool summers why, when there have been a multitude of studies by top organisations proving that global temperatures are increasing, are we not acknowledging the true benefit of shading in building regulations? Why is mitigating overheating by sustainable means not being considered in cities, where building work appears to be continuous? When the Urban Heat Island effect is a proven phenomenon that in other countries is being addressed through innovation (such as sky gardens and reflective coatings) why are we focussed on energy-hungry air conditioners as the solution? And why, when the direct impact of overheating is an increase in deaths is it not being taken seriously in this country?